Lauren loves Paradise Key, it's the only place where she ever felt truly happy. It's also the town where she had her heart broken and she never got over it. Many years after that beautiful summer with its disastrous ending she's back on the island. This time it isn't for fun, she wants to set up a marketing campaign to make Paradise Key more popular with the tourists. She works for her father's prestegious New York agency and Lauren wants to prove herself. However, she doesn't really like working there, but doesn't want to disappoint her father. The relaxed atmosphere and heartwarming community spirit of Paradise Key are making her feel she belongs elsewhere. How can she do this town justice, so everyone can benefit? After studying Carter wanted to live in the city and earn plenty of money. That's exactly what he did, but when his father had a heart attack he returned to his hometown Paradise Key to work at the family store instead. He left everything behind and his fiancée left him. Paradise Key makes him happy though. He loves being part of the small town where people know each other and care about one another. Carter wants to keep that authenticity, so he isn't happy when Lauren wants to put the town on the market. She was once the love of his life and he would like to see if the old flame is still there, but Lauren doesn't want to end up crushed once again. Will they have a chance together or have their differences become too great over time? Summer Love: Take Two is a wonderful romantic story. Lauren is a driven woman, but she wants to have a successful career for all the wrong reasons. Pleasing her father is more important than doing what makes her happy. When she was with Carter she felt carefree and finally thought about her own wishes, but the relationship didn't last and that meant going back to her father and live a life she wasn't made for. Carter has grown up and knows he made a mistake when he let her go. He's a kind man with a gentle soul and he genuinely wants to help people. He doesn't like the corporate version of Lauren very much and hopes he can turn her into the fierce girl she used to be once more. I love second chance love stories and couldn't wait to find out if he'd succeed. Shirley Jump has a lovely warm writing style that made me enjoy Summer Love: Take Two straight away. I really liked how she made Paradise Key come to life. I could easily picture the town and its amazing friendly inhabitants. I was enchanted by the setting and the main characters and read this gorgeous story in one sitting. I loved reading about the special connection between Lauren and Carter and was eager to find out if they'd find true love. I like a great story about soul mates and Summer Love: Take Two definitely falls into that category. If you love small town romance you don't want to miss Summer Love: Take Two. New York Times bestselling author Shirley Jump didn’t have the willpower to diet nor the talent to master under-eye concealer, so she bowed out of a career in television and opted instead for a career where she could be paid to eat at her desk—writing. She started out in journalism, selling her first article at the age of eleven and dreaming of being the next Jane Pauley. She hosted two of her own shows on the local cable channel and co-hosted a late-night comedy show. After writing 3000 articles and two non-fiction books, Shirley grew too dependent on her robe and fuzzy slippers, and decided a career as a freelance writer suited her better. After having two kids, she sold embarrassing essays about her children to anthologies such as Chicken Soup for the Working Woman’s Soul and Chocolate for Women II. Then she turned to the world of romance novels, where messes are (usually) cleaned up before The End and no one is calling anyone a doodoo head. In the worlds Shirley gets to create and control, children listen to their parents, husbands always remember holidays and housework is magically done by elves. She sold her first book to Silhouette Romance in 2001. That novel, THE VIRGIN’S PROPOSAL, won the Booksellers’ Best Award for Best Traditional Romance of 2003. Since then, New York Times and USA Today bestselling author Shirley Jump has written more than 50 novels for Berkley, Harlequin, Entangled and Kensington books. She has won numerous awards, including the HOLT Medallion, the Booksellers Best Award and Colorado Romance Writers Award of Excellence. She’s been nominated multiple times for the Romantic Times Reviewer’s Choice award, most recently for THE RETURN OF BRODY MCKENNA, the last book in her McKenna Brothers series for Harlequin. Though she’s thrilled to see her books in stores around the world, Shirley mostly writes because it gives her an excuse to avoid cleaning the toilets and helps feed her shoe habit. 1) Can you tell our readers a bit about yourself? Well, almost everything in my life centers around food ;-). I love to cook (and have a page on Facebook called Eating My Words for that), and work out just so I can eat. Other than that, I’m a mom of two grown children, an avid reader and a super fan of The Walking Dead. 2) What do you like the most about writing second chance love stories? I think we’ve all had that relationship with “the one that got away,” and we’ve all had the hope that someday, that person would be back and we could try again. I think second chance love stories are ultimately about hope. 3) Can you describe the main characters of Summer Love: Take Two in seven words each? Carter: loyal, dependable, a little jaded and handsome! 4) Can you tell a bit more about the beautiful Paradise Key? I live in Florida, on the Gulf Coast, so Paradise Key is a fictional town much like where I live. The beach is literally my favorite place in the world and it was fun to create a small town on the water. 5) How is it to write a series with other authors and what do you like the most about it? The other authors (Kyra Jacobs, Priscilla Oliveras and Susan Meier) are all personal friends, whom I have known for many years. So writing the series meant lots more excuses for girl talk! 6) You love romance, how did your passion for this genre start? I was working as a reporter and writing heartbreaking stories every day (hit-and-run deaths, suicides, robberies), and decided I only wanted to write happy endings. So I quit the paper and started pursuing my fiction writing dream. 7) How do you combine writing books with your busy family life? I’m lucky in that my kids are grown up, so I don’t have the soccer games or school trips to make anymore. I do miss having them home all the time, though, and keep the TV or some music on just to make the house a little noisy again. 8) You grew up in a small town, does this influence your choice of settings and what do you like best about stories set in small towns? I love the small town where I grew up and miss it a great deal. I think small towns, for all their faults, create strong, life-long bonds between residents and friends. And you get that community feel in every restaurant and concert in the park. 9) You believe in true love and happy endings, what do these two very important things in life mean to you? I’m also a strong believer in gratitude. I think when you are continuously grateful for the life you have, you are more aware of the love around you, and that in turn creates a happy life. I have a post-it note in my car that says simply, “Be Grateful,” so that I remember to pause and say thanks for the wonderful people in my life. Just keep writing more books! I have a small town series for Harlequin Special Edition (The Barlow Brothers) that is going to feature a B&B in 2019, and I have some women’s fiction out right now (The Secret Ingredient for a Happy Marriage). And get some beach time in this summer! One very lucky reader of With Love for Books will receive a $15 Amazon gift card from Shirley Jump. Shirley Jump, Kyra Jacobs, Priscilla Oliveras and Susan Meier are hosting a fabulous giveaway together. One very lucky winner will receive a Vera Bradley Purse and a $25 Starbucks gift card. 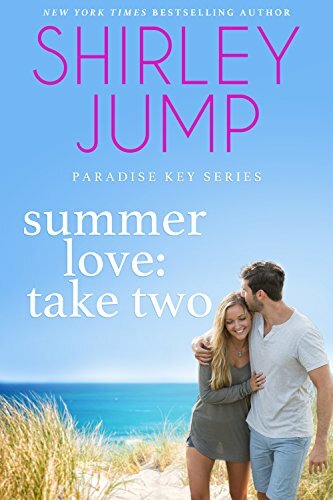 Summer Love: Take Two sounds like a sweet second chance romance and the beginning of what should be a fantastic new multi author series. Paradise Key sounds like a nice place to visit! What a lovely summer read to just sit in the sun and delve into! These look like lovely books. Sounds like a perfect summer read! Great review and interview!It sounds like a beautiful place to visit! Sounds like a great summer read. BTW I can't follow the author;s newsletter due to a broken link so cannot complete that rafflecopter entry. Great cover and I know this is a book my oldest sister will be reading. This book looks like the perfect summer read. 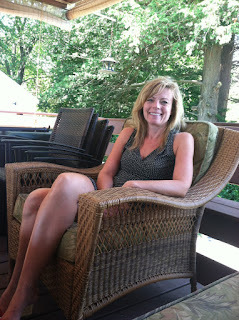 I loved Summer Love: Take Two and enjoyed the interview. What a lovely read. And the series looks great too. I love small town romance, I can't wait to read it. A great interview thank you. Glad you made the jump to fiction. The Paradise Key Series sounds like a great beach read! I love happy endings too. Shirley is obviously a lady after my own heart! It sounds like a sweet story. This sounds like a really great second chance story, and I love a kind hero. Summer Love Take Two by Shirley Jump is a wonderful well written book. There is something so special about summertime love, isn't there?